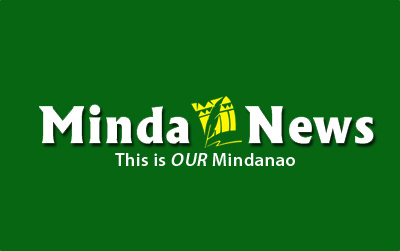 NAAWAN, Misamis Oriental (MindaNews/13 Feb) – The 30-year-old trees are gone. A gym will accordingly rise from where they had fallen. No matter what the purpose, reason and justification, it still hurts to see the trees disappear from sight. The timing was insensitive and depraved. The execution betrayed one’s arrogance and callousness to the succession of social and environmental disasters that have reeled the land like a curse to this day. The trees succumbed to the chainsaw when Typhoon Agaton was idling in the vicinity and was dropping rain bombs to the neighboring cities of Butuan, Gingoog, Cagayan de Oro, Iligan and other areas, leaving in its wake disastrous floods that claimed lives and caused heavy damage and destruction to crops, properties and public infrastructures. The 30-year-old narra and mahogany trees were killed just two years after Typhoon Sendong wrought havoc and sent chilling nightmares to Cagayan de Oro and Iligan; a year after Typhoon Pablo terrified and destroyed Compostela Valley and Davao Oriental; and only two months after monster Yolanda wasted Tacloban and other unfortunate areas in the Visayas, bringing untold misery to the populace to the present. 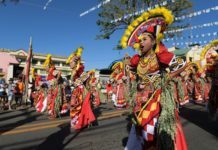 The killing was executed at the most inopportune of time, i.e., when the government is pouring tremendous resources to a national greening program – to plant trees throughout the archipelago in an effort to heal the environment. It came at a time when conscientious and right-thinking people around the world are cracking their heads to find ways of averting the disastrous impacts and consequences of environmental degradation and climate change. We planted the trees in 1984. They had grown tall and towered over us after years of loving care and jealous protection. They were a sight to behold with their spreading and overlapping canopies that provided cool and refreshing shade to everyone. The trees on campus have become the jewel and living symbol of MSU Naawan as one of the primary forerunners and movers for environmental conservation and management in southern Philippines. In the past, the trees helped the municipality of Naawan earn awards for its clean and green program. They had served as model in tree planting in the locality and nearby areas. But they had to go in favor of a gymnasium. The gym is likely huge because the construction perimeter fence occupies an area of about a hectare. The narra trees that lined the road towards the oval should have been spared if the project site were moved a little inward. Or the more than 30 trees would have been saved if this construction were to take place elsewhere. We lost them. It is ironic that this happened in the campus of the Mindanao State University that prides of the 1993 Earth Day Award for coastal conservation and environmental management for its research and extension activities to restore the integrity of the environment and improve the quality of life of the people. The loss is sad and painful. But what hurts most is the absence of even a token resistance or a whimper of protest from the university constituents, especially from the faculty who are perceived as the more enlightened members of the academic community. One may wonder what they are teaching now in environmental science, or what sustainable development they are talking about in the graduate school of MSU Naawan. The chainsaw felled the trees. But they were actually killed by the indifference, apathy, and self-serving complacency of everyone on campus.